Continental Disc Corporation's UNISERT® Assembly is a flat seat rupture disc holder which provides improved rupture disc sealing capabilities. It is designed to house either the MICRO X® Rupture Disc or the Composite Flat Seat Rupture Disc. These non‐fragmenting‐designed rupture discs provide a wide choice of burst ratings from the low pressures of the Composite (FS) Rupture Disc through the higher pressures of the scoredpositive‐acting MICRO X Rupture Disc. 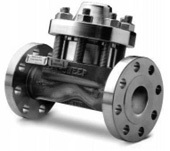 Continental Disc Corporation's Union Holder is designed to provide flexibility of use in tight piping configurations. 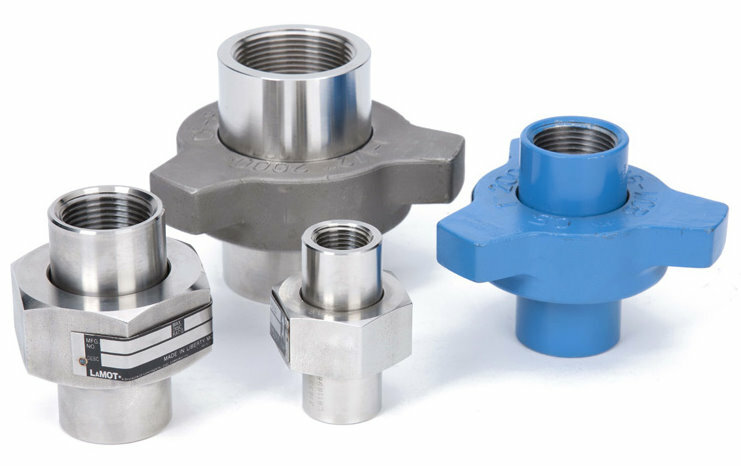 These precisely built holders combine remarkable ease of installation with high pressure ratings in pipe sizes of 2" (50mm) or less. Continental Disc Corporation's Clean‐Sweep® Rupture Disc Assembly provides overpressure relief protection for viscous media processes, particularly where product build‐up in a piping system may cause excessive overpressure conditions. Continental Disc Corporation's Sanitary Rupture Disc Assembly is specifically suited for a wide range of process applications where product purity and corrosion resistance are required. The Sanitary Fitting Assembly is used in dairy, pharmaceutical, food processing, canning, cosmetic, chemical and many other industries. 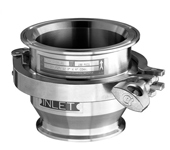 Continental Disc Corporation's MBC Multiple Bolt Sanitary Closure is a highly durable sanitary clamping device for securing vessel and piping connections in pharmaceutical, biotechnological, food, beverage, fine chemical, and other sanitary type environments. The MBC is a multibolt clamp design featuring four stainless steel bolts and nuts securing a two‐piece, cast stainless steel body. Continental Disc Corporation manufactures Double Disc Assemblies which utilize tension type or reverse acting rupture discs. The Double Disc assembly places two rupture discs in series, for use as a redundant device or as a quick‐acting valve. Dependent upon the duty, the Double Disc Assembly can be manufactured to incorporate a combination of rupture disc designs, providing total flexibility in design options. For situations where seconds count, the Continental Disc Quick‐Change Holder Assembly allows rupture disc change out and the assurance of a tight seal in seconds. Pressure‐actuated static seals insure a leak‐tight design.